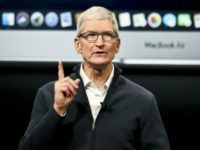 Apple CEO Tim Cook argued this week that the big tech Masters of the Universe need to be regulated by the government to protect user privacy. 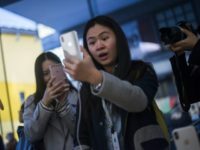 A New York teenager is suing tech giant Apple for $1 billion, claiming that the company’s facial recognition software led to him being falsely arrested. The settlement between Apple and Qualcomm could speed the deployment of 5G phones to U.S. consumers. 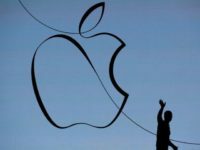 A massive lawsuit between Apple and Qualcomm about illegal patent licensing is getting ready to begin in San Diego. 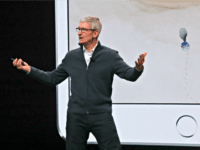 Apple seeks $27 billion from Qualcomm, while that company’s counterclaims run to $15 billion, all centered on the relationship between the two companies about licensing patents key to Apple’s products. 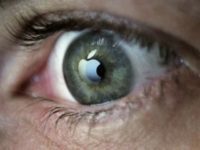 Apple has long claimed to be the most privacy-conscious tech firm in Silicon Valley, but with companies like Google handing over data from iPhones to law enforcement, Apple’s privacy promises may prove useless. 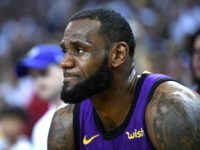 NBA star LeBron James isn’t having an easy time filling roles for his upcoming film Space Jam 2, according to a new report. 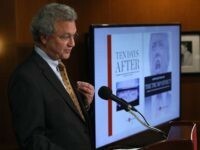 Watchdogs groups have accused Apple of censoring music that mentions the Tiananmen Square Massacre and democracy in China. Two Oregon college students have been accused of tricking Apple into sending them $1 million worth of iPhones. 83 percent of high school students reportedly own an Apple iPhone. 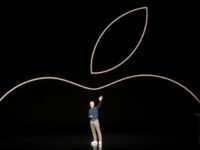 Wall Street analysts were reportedly underwhelmed by Apple’s latest event due to worries over the continued slowing of iPhone sales. 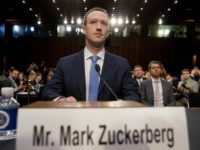 A recent report from CNBC provides some insight into the sort of money that young interns are being paid at major tech firms, including the fact that Facebook interns make $96,000 a year, nearly double the median salary in America. 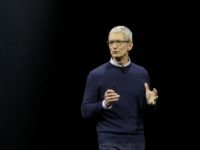 Tech giant Apple published a scathing response to music streaming service Spotify which recently filed an antitrust complaint against Apple in the E.U. America does not need to import more workers. There are still millions of working age Americans left out of the workforce. 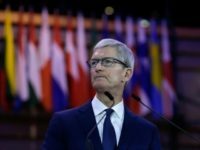 Apple CEO Tim Cook recently encouraged any conservative employees who felt discriminated against due to their political views to speak with him directly. 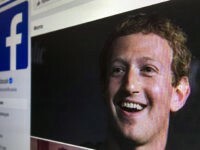 According to a new investigation, almost a dozen iOS apps for iPhones and iPads are sending sensitive personal user data to Facebook. Tech giant Apple has claimed that it does not want to be “elitist” as the price of iPhones continues to rise. 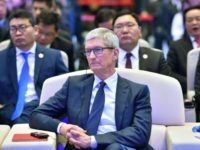 Apple has reportedly teamed up with Chinese Payments firm Ant Financial Services Group and multiple local banks to offer interest-free financing on iPhone devices. 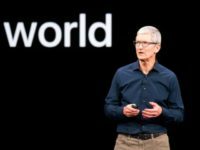 Tech giant Apple recently lost its top place in Fast Company’s rankings of the “World’s most innovative companies,” falling all the way down to 17th on the list. 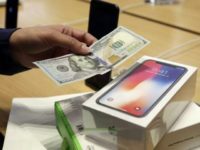 Following the growing decline in iPhone sales, Apple has begun to shift its priorities towards other products and services, according to a report by CNBC. In the context of the western demographic crisis and the booming developing world, free trade creates an incentive for corporate cooperation with authoritarian societies. 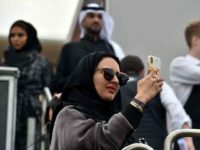 Sen. Ron Wyden (D-OR) wrote an open letter to Google and Apple, Monday, demanding that the Big Tech Masters of the Universe stop hosting a Saudi Arabian app which allows men to track women’s movements and stop them from leaving the country. 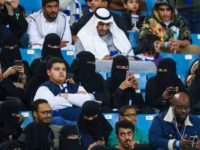 Apple CEO Tim Cook said he would “take a look” at a Saudi Arabian app being hosted by Apple on the App Store, which allows men to track women’s movements and stop them from escaping the country. 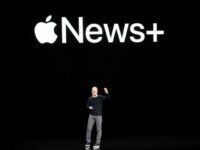 Apple reportedly plans to take 50 percent of the revenue generated by publisher’s using the company’s upcoming news subscription service. 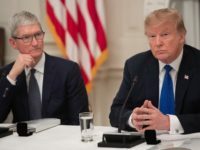 Bloomberg published an article on Monday detailing an Apple “black site” for contractors in Cupertino, California, where workers are allegedly treated as “inferior” to the permanent Apple employees at the Big Tech giant’s new HQ. Popular iPhone apps, including Expedia, Abercrombie & Fitch, and Air Canada, are reportedly secretly recording users’ screens.